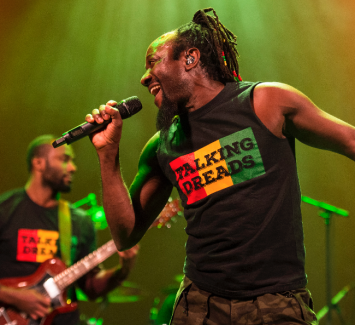 These guys are so much more than a reggae-tribute of the Talking Heads’ top hits. Picture that famously funky frequency, picked up on the sun- bathed beaches of Jamaica and put through a Caribbean kaleidoscope. Fronted by Connecticut's own, Mystic Bowie, Talking Dreads will be Burning Down The House. As a former member of the Tom Tom Club, a band that includes Talking Heads founders Chris Frantz and Tina Weymouth, Mystic Bowie infuses fresh life into Talking Heads' classic catalog with his high octane mix of roots reggae, ska and rock.